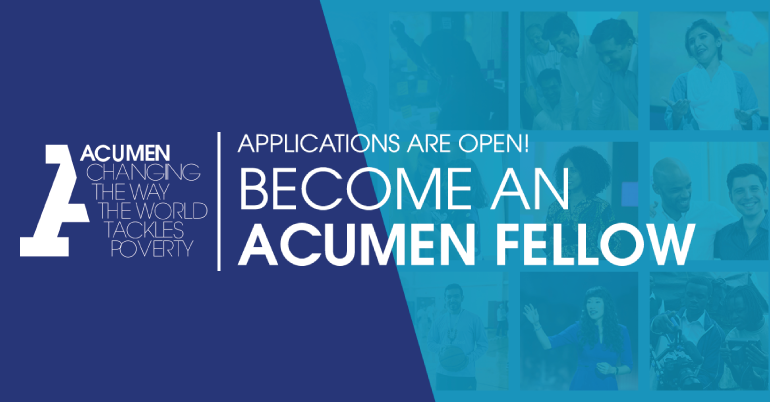 The Acumen Fellowship program is an intensive leadership development program cultivating a pipeline of tomorrow’s social changemakers. Over the course of a year, Fellows remain in their jobs while participating in five in-person, multi-day immersive seminars and engaging in online content between seminars. Currently operating in Colombia, East Africa, India, Pakistan, and West Africa, the Fellows Program equips leaders from across the country or region with the knowledge, skills and community to become more effective, collaborative agents of change. 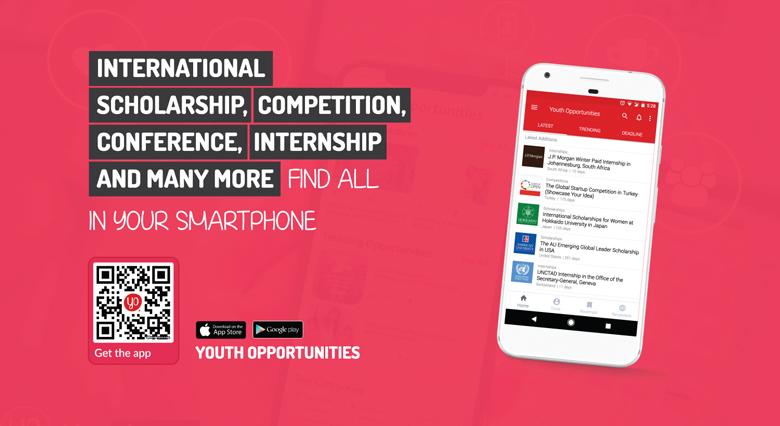 Their Fellows Program is a one-year leadership development program designed to connect and cultivate a pipeline of social changemakers who are committed to tackling poverty in their communities. The program design is centered on group-based learning, self-reflection, and real-world application. They’re Equipping Extraodinary leaders with the capacity to postively transform society. Acumen covers all-program related expenses during the fellowship year. This includes all costs associated with the seminars including lodging, food, transportation & visas. Their Fellows Program centers around five in-person seminars design to improve individuals’ capacity to innovate and drive change while remaining in their full-time jobs. Fellows receive training, practical tools and the space to explore their own leadership journeys while connecting with innovators across Acumen’s local and global communities. Their unique virtual content enables Fellows to connect with peers and continue developing the skills to make lasting social impact between seminars. They provide the space and security for Fellows to practice self-reflection, broaden their perspectives and identify areas for personal development. They design content that is focused on being relevant and applicable to Fellows’ everyday lives and social impact work. Building a pipeline of leaders who understand what it takes to create lasting social change. Developing leaders who challenge the status quo and inspire their communities to build a better future. Social entrepreneurs, social intrapreneurs, and organizational builders. Social entrepreneurs: Have have launched or lead their own social change initiatives. Social intrapreneurs: Are running a social change initiative within an existing organization. Organizational builders: Are an integral part of building a social change organization, but do not play a founding role. Individuals who have a demonstrated history of impact, commitment and concrete connection to the region. Leaders with strong personal integrity, unrelenting perseverance and moral imagination. Committed individuals ready to undergo an intensive year-long personal transformation and leadership journey followed by an induction into the larger Fellows Community. Individuals of all ages and education levels who are able to participate in a program conducted in English. Individuals who dare to do what’s right, not what’s easy, to create positive change in their region. Fellows can come from diverse cultural, geographic and socioeconomic backgrounds and work in any sector, and they must be committed to ending poverty in their community through their work. Individuals who are making a long-term play at system-level impact and are seeking the leadership skills and moral imagination to make it happen.